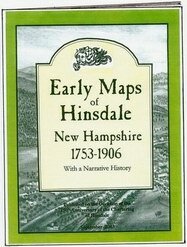 An attractive 35 page book of historical maps of Hinsdale, New Hampshire. Maps range from the earliest colonial maps made before Hinsdale was created, through the detailed land-ownership maps of the late 19th century. Book includes an historical narrative describing the maps and the history they reveal.